There's no way around it, our pets need veterinary care! House calls are ideal for owners with multiple pets or if you have a pet that does not travel well in the car! You no longer have to put your cat into a carrier and endure an unpleasant car ride or have to drag your elderly dog from the house to the animal hospital.  Save yourself the time, trouble, & anxiety of taking your pets to the vet, let Catskill Veterinary Services come to you! Our house call services include physical examinations, vaccinations, collecting samples for laboratory testing, microchipping, and a variety of other medical services. Please be sure that your pet is confined to a particular area that they can easily be handled. It is unfair to others to have scheduled time go over because of time spent gathering up patients for examinations. Please be sure that all dogs that are to be examined are in the house or confined space. It is appreciated if they have a collar on and a leash available during the time of the exam. If there are multiple dogs to be examined they only have to be leashed during their examination. If your dog requires a muzzle we have ones available for use. **Please inform us when you are scheduling your appointment if your pet is not friendly or territorial when strangers come to your house. If this is the case please be sure that they are secured prior to our arrival. All cat patients should be confined to an area that allows for easy handling. Please avoid spaces like the living room, bedroom, or open spaces. These rooms allow for a number of places for your pet to hide. We would encourage them to be kept in a crate ahead of time. If they are too stressed by being confined to a crate then a bathroom or small room would fit best. **Ask about using Feliway products to aid in decreasing stress/anxiety. We would be happy to send Feliway wipes in the mail prior to the scheduled house call (please allow for 1 week for mailing and receiving). We make every attempt to stock all the needed medications on our mobile unit but sometimes we do not have everything at the time of the visit. In those situations our doctors may provide a written prescription that may be filled at a local pharmacy. We also provide direct ship/mailing of medications to clients through our pharmacy. We are able to send prescription diets, large quantity of dewormers, supplements and more.